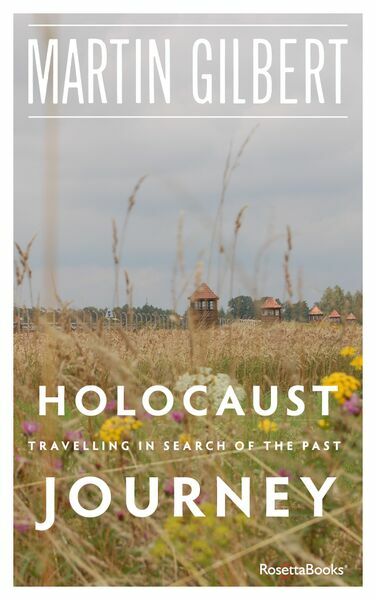 This extraordinary and powerful book describes a fourteen-day journey made by the historian Sir Martin Gilbert and a group of London University students of the Holocaust to many of the sites associated with Jewish history before and during the Second World War. A geographic pilgrimage which is also an excavation of history, this graphic text touches many chords … By visiting many formerly flourishing Jewish communities and seats of learning, the travellers discover how echoes of the past still linger. The horrors of years ago are brought into the present day as the travellers stand at the sites of some of the worst crimes against humanity. Through his selection of places, events and readings, a trip that might only have offered a snapshot delivers instead a complete panorama. “Our destination is Nos. 56-58, the lakeside villa, build in the First World War. There, on 20 January 1942, Reinhard Heydrich, then aged thirty-seven, introduced the 'Final Solution' – which had already been decided upon – to the various ministerial bureaucrats who would have to take part in carrying it out. Heydrich's assistant at the meeting was his contemporary, Adolf Eichmann, just two years his junior. “The meeting was one which brought together the two centres of power in Nazi Germany, the RSHA (the Reich Security Main Office) represented by Heydrich and five others – plus a female secretary – and the Nazi Party and German government, represented by seven people from different ministries, among them the Ministry of Transport, which was to have such an important part in the deportations. “Halfway through the first year of the newly introduced Holocaust MA degree at University College, London, my students asked me if I would take them, once term was over, to some of the places we had been learning about. It was an unexpected proposal, but an intriguing one. I set about preparing an itinerary, and we made the journey in the summer of 1996. It lasted two weeks. “... The material I prepared for the journey related to the history of the places we would visit, both before and during the war. We would be in cities and towns which had experienced an important and creative Jewish past, as well as destruction. We would also be making our way to the sites of ghettos, concentration camps and death camps, where the written and oral evidence that has survived was painful to read out. The plan was for me to read aloud from letters, documents and memoirs that related to what had happened at the places we were visiting or passing through.